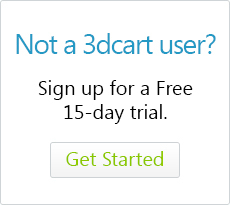 As mentioned in a previous article, 3dcart allows you to print shipping labels for your orders directly from the Online Store Manager. However, it should be noted that the "Print Label" function inside the label manager is mostly intended for ink jet printed labels. 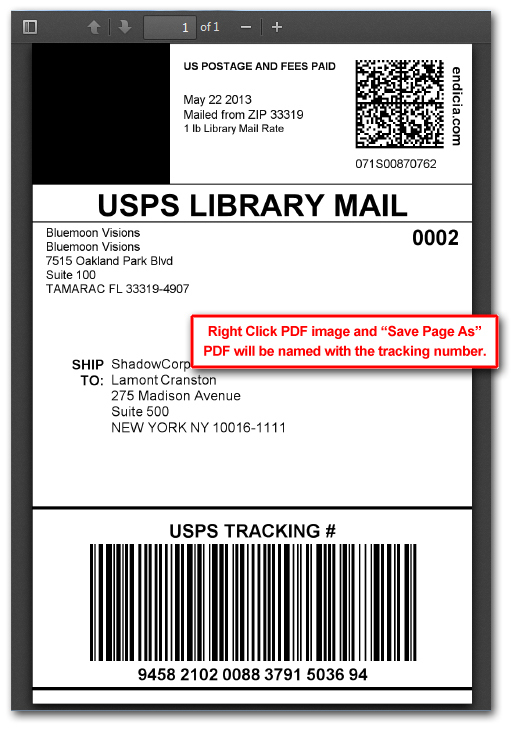 If you are using a thermal printing device which is set to print on a smaller, self adhesive label, the process will be slightly different than just clicking on the "Print Label" button. The following instructions should help describe the process for printing on Thermal Print devices. Click OK to generate the label. The label manager will provide you with a tracking number along with two buttons labeled "Get PDF" and "Print Label" respectively. 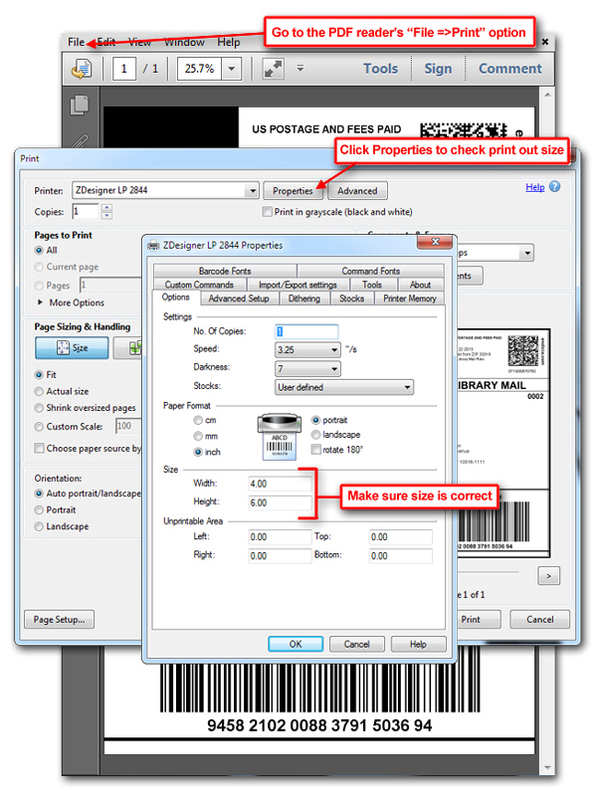 For Thermal Label printers, select the "Get PDF" button to view the PDF formatted version of the label. For thermal printing devices however, it is necessary to use the PDF file since it contains only the label and is therefore easier to conform to the printer's configured label size. Depending on your browser and available add-ons, you may get a popup view of the PDF (Chrome & Firefox) or otherwise get it downloaded and saved to the desktop (IE). Printing from the browser popup can be tricky if using Firefox, so it is recommended to save the file to desktop. Chrome may be easier to use since it usually opens PDFs in your computer's default PDF viewer; which means you can skip to step 6. 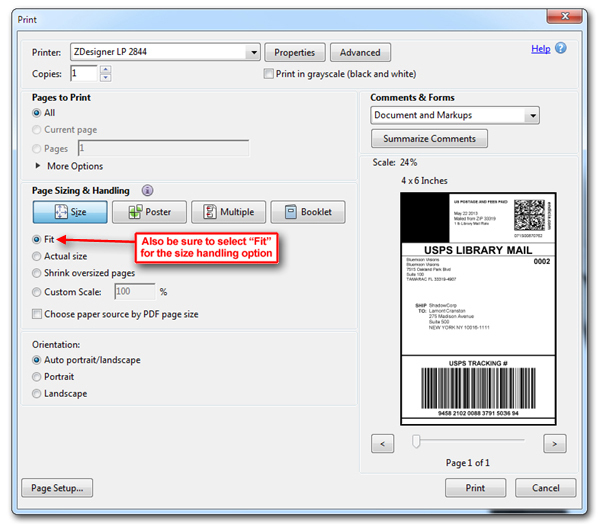 Right-click on the PDF and select “Save Page As” to save the label in PDF format. The PDF will be named with the tracking number for reference. The screens used in this article are for a Zebra Thermal Printer, but most thermal printers will have similar (if not identical) settings. On the Print Screen window, be sure to select the “Fit” option in the “Page Sizing and Handling” section as shown. Your label should now conform to the set parameters for your thermal printing device for "Peel and Ship" labeling.